Does your school incorporate video into their marketing strategy? Per Animoto, more than 80% of millennials consider video when researching a purchasing decision. That is where Facebook Live comes in. 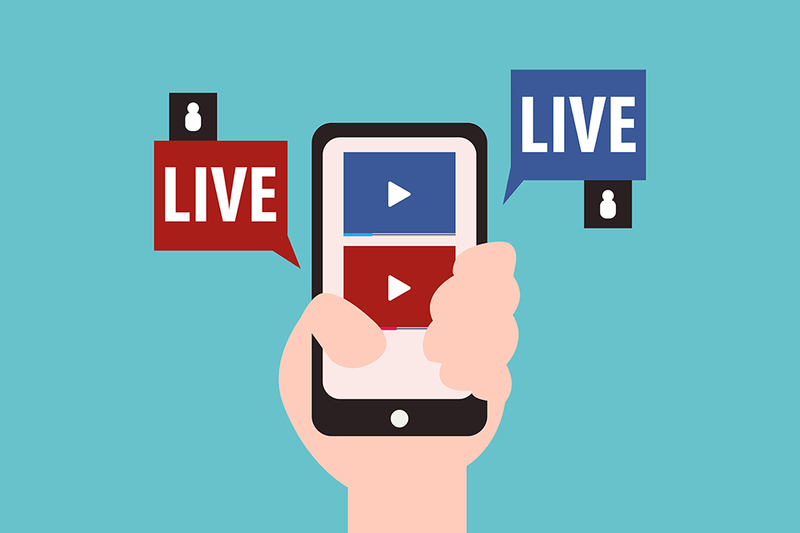 Facebook Live is a fun and FREE way to incorporate video marketing into your business. There are multiple ways to bring Facebook Live to your school. Here are 5 ideas to incorporate Facebook Live into your schools. This is for your admissions team. Prospective students have questions, and chances are we hear the same questions over and over. How long is the program? Is it full time? What days/hours do we attend? How do I get licensed? Do you have financial aid? Identify common questions that your admissions team receives, and rather than answer the question, again and again, you can have a Facebook Live video session to answer it. Create a plan before you go live. Which question or questions are you going to focus on this live chat? If you have a plan ahead of time, you’ll stay focused, otherwise, you might start to ramble. Acknowledge your participants and be prepared to answer questions when they comment. What is school really like? Give prospective students a taste of what the beauty and wellness world is all about. A Virtual Open House. People can join the video and get a firsthand look at your school. Focus on the aspect of your school that students may be most interested in learning about. Prospective students may be wondering what they would do every day in your school. Many of them have misconceptions about school and this is an opportunity to show them the variety of learning experience they will receive in your school. By promoting the success of your current students, prospective students begin to see how awesome your school is. Help them picture themselves in the role of graduating, getting licensed, and securing their first job. Reach out to successful salon graduates and do a live testimonial with them talking about their successes and how it started with going to your school. This would encourage your graduates to come back and share with you where they are working. You can also help your graduates by “tagging” their salon and promoting their careers. When your students are having a competition, cut-a-thon or fashion show, go live and promote the event and what your students are up to. Interview your student while they are performing a service. Ask them to share who they are and what service they are performing. Provide them with a series of questions such as the benefits and reasons why someone may or may not choose that service. This will show customers that your students are knowledgeable. This shows prospective students what they will learn in the program. The current student also learns how to market themselves with social media when they get to the salon. That is a win, win, win! Promote your student salon, clinic services and retail products that you have available. Create a monthly special and share with your Facebook community. Tease a new product or service that you have introduced to your school. Customers need to be reminded to come in for services and seeing a live video might be that nudge they need. If you have an afternoon where things are jumping, get on live and show people what is going on. On the other hand, if you have a slow day, create an unadvertised special, just for the Facebook live audience only and tell them if they get in today, they get the special. When promoting the student salon, I would have your students be the ones to do the video live. Let them share what is happening in your school. You are teaching them how to use social media to build a business. Clients see their “student” is a spokesman for the school and prospective students get to see more of what this industry is all about.